In a truly heartbreaking essay, the sister of a fallen LA bike rider calls on all of us to look squarely at the crisis of traffic fatalities. In 2016 my brother Tom was biking home in Los Angeles. He took a street that I would learn is quiet for LA, but statistically deadly for bicyclists and pedestrians. At about 6 p.m. on this particular Saturday, a drunk driver in a box truck careened down a side street, hitting parked cars before killing my brother at an intersection. He was 26. That first night after I got the call I was shocked and frightened. My brother was already dead, yet I was scared of what was to come. We had few details that first night, and my recollection is fuzzy. Trauma affects your memory. Tomas Brewer was killed while riding on Temple Street in Echo Park, where Councilembers Mitch O’Farrell and Gil Cedillo recently blocked plans for a desperately needed road diet on one of the city’s most dangerous streets. An LAPD officer had noticed 22-year old Cruz Tzoc speeding up Burlington Ave just moments before the crash, but was unable to catch up to him before Tzoc smashed into Brewer’s bike. He was driving at twice the legal alcohol limit. His sister went on to put her own grief in context, and ask that you look at the problem without looking away. I do, however, judge the facts and the broader context of the loss imposed by traffic collisions. We made tremendous progress in the 1960s and 1970s reducing traffic fatalities and cutting drunk driving deaths. Policy changes, automobile safety features, and awareness building through advocacy have helped to save, many, many lives. But now that progress has petered out and started to reverse. Impaired drivers and speeding drivers are still killing us. There are new threats, like distracted driving. Meanwhile, cars are still designed to go very fast, development is sprawling and demands a car-centric lifestyle, bike infrastructure is an afterthought, bars are built in the middle of parking lots, and people protest against changes intended to save human lives. It is frightening, but please try to look squarely at this crisis. Respect and be gentle with us, the surviving family members. We may be on the edge, or somewhere in the pit of grief. Please allow yourself to feel those ripples of impact, and let them move you to do something, anything to start saving lives. As for the photo, maybe if we had more signs like this, we’d have fewer stories like these. There will be a meeting tomorrow night to discuss safety solutions for the long-neglected streets of South LA, where Frederick “Woon” Frazier was killed by a hit-and-run driver last April. And the LACBC has announced a public march and press conference will be held this Thursday to demand justice for Frazier. His alleged killer turned herself in last month as police were closing in, but has yet to be formally charged. 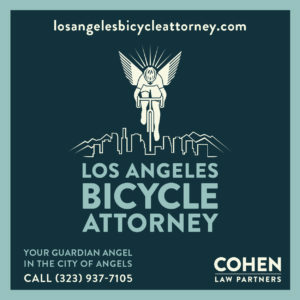 The rights of bicyclists to ride in LA’s Bus and Bike Only Lanes remains under assault by misinformed police officers, who seem incapable of reading the posted signs saying bikes are allowed in the lanes. Then again, that’s nothing new. And no, Darth Vader has no begun working with LAPD Traffic; Michael blurred the photo of the officer to protect his identity. Once again, a motor vehicle has been used as a weapon. 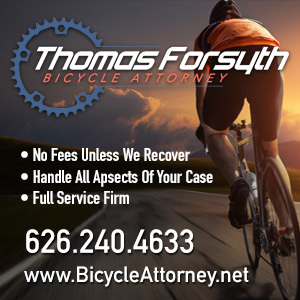 According to police in Tampa, Florida, a former US track star intentionally drove his car off a highway and onto a separated bike path, killing a father as he rode his bike with his small children. Thirty-year old Mikese Morse fled the scene, leaving Pedro Aguerreberry’s two kids to watch him die in front of them. Police arrested Morse a few hours later on a charge of first degree murder — a charge that requires premeditation. Morse’s parents said he was suffering from a debilitating mental illness, and he had posted a series of “increasingly angry and unhinged” videos on Instagram, saying that he was going to kill someone. And yet he was still legally allowed behind the wheel of a two-ton machine capable of killing another human being. REI has raised $1.6 million to “rewild” five urban projects in cities across the US, including LA’s San Gabriel Mountains National Monument. CiclaValley and Streetsblog both look back at yesterday’s successful San Fernando Valley CicLAvia. An open house will be held at 6 pm tonight at the Palms-Rancho Park Branch Library to discuss closing the ridiculous Northvale Gap in the Expo Line Bike Path. Local homeowners successfully fought the bike path through the area when the Expo Line was built, claiming thieves would use it to burglarize their homes; now it will cost exponentially more to build what could and should have already been finished. 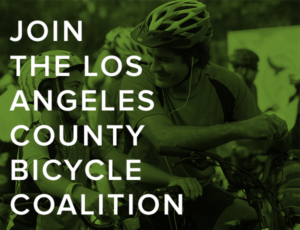 The LACBC’s next Sunday Funday ride will take a tour of bike-friendly Santa Monica. 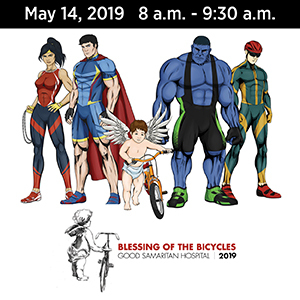 A La Jolla cancer research center has been awarded four grants from the $2.4 million raised by San Diego Padres annual Pedal the Cause fundraising ride. A teenage San Diego girl was struck by a car while riding her bike when the driver went off the road after apparently suffering a medical emergency. Monterey is about to break ground on an $8.5 million project to install separated bike lanes along the median on a major roadway. However, without improved signalization, a bike lane in the center of a roadway is likely to result in increased conflict points at intersections, which is why the one on Culver Blvd in Culver City has never been successful. Maybe you should take another look at your helmet. A new study shows shows that unvented “urban style” helmets and helmets without the new MIPS anti-concussion technology are twice as likely to result in injuries in a crash. Bicycling looks at the best tandem bikes, with prices starting at just $430. A Seattle writer says the only downside to ebikes is the battery dying while climbing a hill. A Phoenix TV station discovers where LimeBikes go to die. Authorities in New Mexico believe they’re closing in on a suspect in the cold case death of an 19-year old woman who disappeared while riding her bike in 1988; a Polaroid photo found lying on the ground the next year 1,600 miles away may show her and a young boy lying on a bed bound and gagged. A Chicago weekly worries that e-scooters will clog the city’s sidewalks and bike lanes. A Chicago writer says the most direct routes aren’t always the safest or most enjoyable, suggesting that side streets are better for low-stress riding with kids. That’s something that too often gets lost in the debate over bike lanes — different riders have different needs. Some may want a low stress route, while others need to ride busier streets for their commute. That was the beauty of the 2010 Los Angeles Bike Plan, which contained three separate but connected networks ranging from quiet bikeways to protected bike lanes on busy streets. Maybe we can still get LA leaders to pull it off the shelf. Or out of the trash bin. The anti-bike lane screed from the publisher of Crain’s is still reverberating through Detroit, as a local advocacy group offers a calm response. New York bicyclists protest the ICE detention center by riding their bicycles around it and blocking access. In a very brief letter to the editor, a Pennsylvania bike rider reminds drivers that honking their horns accomplishes nothing but startling someone on a bike. Caught on video: A bike rider was spotted riding in the middle of a major Virginia highway at rush hour, even though state law bans bikes from limited access highways. Don’t let LA drivers see what rush hour traffic looks like in Virginia, though, or they’ll all want to move to there. Or better yet, show them. Please. As Pirelli re-enters the bike tire market, Rouleur takes a look back at the classic Pirelli posters of the last century, which set the standard for graphic design. Once again, riding a bike proves to be the fastest way to cross a major city, as a bike rider wins a race between a motorcycle, bike bus, car and walking through central London. A 70-year old British man says he just got out of the hospital with broken ribs and a fractured skull after he was hit by a speeding bicyclist riding illegally on the sidewalk. Seriously, don’t do that. Whether or not riding on the sidewalk is legal where you live, pedestrians should always receive the right-of-way there or in a crosswalk. Dublin officials have called for greater enforcement of laws banning parking in bike lanes. Which is already proving to be a problem on the new My Figueroa semi-Complete Street in DTLA, where Central Division bike cops cracked down yesterday after receiving complaints. In an inspired protest, German rabbis and imams rode tandem bikes through the streets of Berlin to fight antisemitism and Islamophobia. A Tanzanian newspaper says people don’t run or ride bikes in Dar es Salaam because too many roadways lack the required service roads, and those that don’t are often blocked by traders. A second dockless bikeshare company has closed up shop in Singapore, citing difficulties in meeting licensing requirements. Belgian rider Victor Campenaerts was knocked off his bike after colliding with a drunken fan at the country’s national championships; he managed to finish the race despite a mild concussion. If you think you can ride fast, try pedaling at 134 mph. It’s a battle of the Jeremys over moms biking to school. And if you really need a name for two-wheeled conveyances that aren’t ebikes, here’s one. I’ve also been told that I cannot ride in the shared bike/bus lanes. What I do now is I take the lane next to it when I see motorcycle cops. How long until I get pulled over for that? The signs are pretty funny. Bus lanes. bikes ok. which means “It’s ok in theory but we’d rather you didn’t.” Another example of how the rights that people on foot or on bicycle in theory enjoy don’t exist in practice. Not unlike the existence of unmarked crosswalks or the right of way in a crosswalk. My wife and I have been on a tandem for 12-14 years now. Just had a great ride this weekend around the foothills outside of Rodenheim, 67 K, 900 meters climbing. The tandem does allow two riders of unequal abilities to ride together. So we both get to enjoy the ride at our own ability level and no one has to wait at the top of the climb. Tandems do climb slower, but we can descend like bats out of hell. You just have to put up with, at least in the US, people yelling “She’s not pedalling back there!” It might have been worth a chuckle the first time but not after 12 years… Plus it is demeaning to my stoker. Especially from two up motorcycle riders who never, ever pedal. So just don’t. There are two important things about tandems, one a rule to live by and the other an observation. Rule: The stoker makes NO mistakes. Period. Full stop. Observation: Where ever your relationship is going you will get there faster on a tandem. You want to see a bunch of well adjusted couples? Go to a tandem Rally.